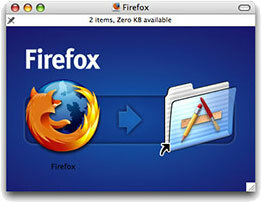 FireFox 12.0 beta 5 For Mac OS X: The Most Powerful Mac Browser Yet! ...... Gecko 1.9 includes some major re-architecting for performance, stability, correctness, and code simplification and sustainability. FireFox For Mac 3.6.13 has been built on top of this new platform resulting in a more secure, easier to use, more personal product with a lot under the hood to offer website and Firefox add-on developers. FireFox For Mac includes more than 900 enhancements from the previous beta, including drastic improvements to performance and memory usage, as well as fixes for stability, platform enhancements and user interface improvements. Note:Beta or prerelease software is not intended for inexperienced users, as the software may contain bugs or may potentially damage your system. We strongly recommend that users exercise caution and save all mission-critical data before installing or using this software. Qweas is providing links to FireFox For Mac 14.0.1 2012 as a courtesy, and makes no representations regarding FireFox For Mac or any other applications or any information related thereto. Any questions, complaints or claims regarding this application FireFox For Mac 14.0.1 2012 must be directed to the appropriate software vendor. You may click the publisher link of FireFox For Mac on the top of this page to get more details about the vendor.